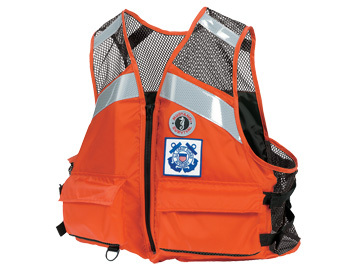 The MV3128 34 US Coast Guard Auxiliary four pocket survival flotation vest with SOLAS reflective tape for added visibility is a functional PFD. 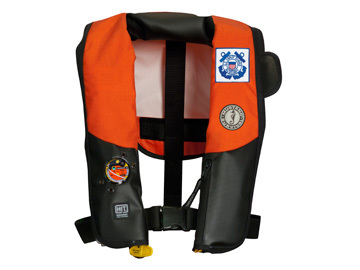 Mustang Survival's MV3128 34 offers large arm holes for mobility and Tug Tite® adjustments for an almost custom fit. 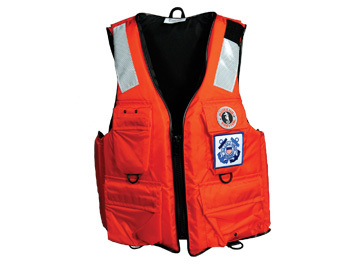 Four large Velcro™ secured front pockets conveniently store tools. Two D-rings are available for lanyard attachments. 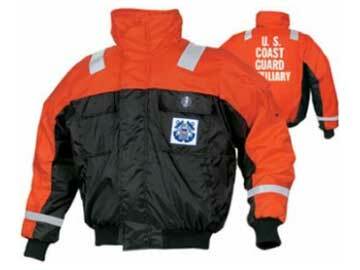 SOLAS reflective tape on the shoulders offers visibility in dark stormy conditions. 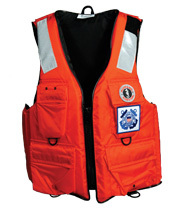 The MV3128 34 also features a short waist for use with a sidearm and all the required United States Coast Guard Auxiliary badges are affixed on the front. 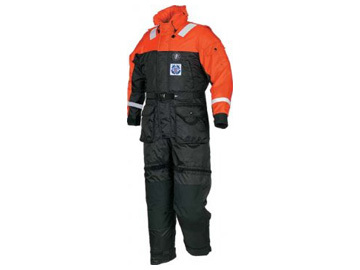 MV3128 34 is no longer available, limited sizes in stock are available. Call 763-263-9835 to check stock. The MV3128 34 Specification Sheet is a pdf file. If you are unable to open it you will need to download the latest FREE version of Adobe Acrobat Reader.